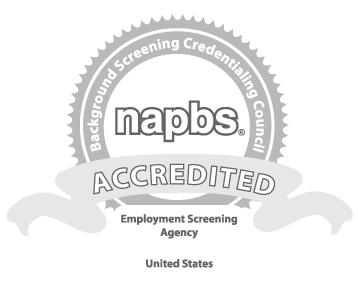 Info Cubic is a premier provider of international screening services. We work closely with trusted, experienced worldwide court researchers, government contacts and private agencies, which allows us to provide the most coverage throughout the globe in the most cost-effective and timely manner possible. Info Cubic is committed to applying the Swiss-US Privacy Shield Principles to all covered personal data collected, processed and used from individual consumers and companies. The personal information we collect from individual consumers is used for the sole purpose of preparing background reports (also known as consumer reports, investigative consumer report, background check and others) and related communications. The information collected is not sold to unauthorized parties such as debt collectors. Personal information collected from individual consumers may include such details as academic and employment information, criminal record history, motor vehicle records, credit history and other credentials related to an individual. Prior employers or references may be contacted to confirm information supplied by either our client or an individual, and the report may include information obtained through personal interviews regarding the applicant’s character, general reputation, personal characteristics and/or mode of living. All data collection, storage and utilization procedures practiced by Info Cubic are in compliance with all applicable laws, which include the Fair Credit Reporting Act (FCRA), individual state or province laws, Switzerland’s Federal Act of 19 June 1992 on Data Protection and any other international laws as applicable. Our clients certify to us that they will obtain consent from individuals before procuring a background report. The information we collect and use from companies pertains to a request for services information and/or registration with our site. If you complete Info Cubic’s online signup form, we will collect personal information necessary to proceed including your name, phone number, email and information related to your company profile such as company name and address, and billing preference. This information will be used to contact you to discuss services and arrange an account if requested. For Human Resources Data Only: Info Cubic commits to cooperate with EU data protection authorities (DPAs) or the Swiss Federal Data Protection and Information Commissioner, and comply with the advice given by such authorities with regard to human resources data transferred from the EU and Switzerland in the context of the employment relationship. Though we make every effort to preserve and protect privacy of personal information, we may need to disclose such personal information when required by law wherein we have a good faith belief that such action is necessary to comply with a current judicial proceeding, a court order or legal process, or to meet national security requirements. If sensitive information (i.e., personal information specifying medical or heath conditions, personal sexuality, racial or ethnic origin, political opinions, religious, ideological or trade union-related views or activities, or information on social security measures or administrative or criminal proceedings and sanctions, which are treated outside pending proceedings) is to be collected, individuals must provide affirmative express consent (opt in) for the data to be disclosed to a third party or for the data to be used for a purpose other than the purpose for which it was originally collected or subsequently authorized through the exercise of opt-in choice. Info Cubic maintains servers and other storage facilities in the United States. As a consequence of using the site and providing personal information to us, your personal information may be used or stored in the United States. By using this site you hereby affirmatively consent to the processing of your personal information in a country which may not have the same level of privacy protection as your country of residence. Should you withdraw this consent, you agree that you will not use or visit the website subsequent to your withdrawal of such consent. 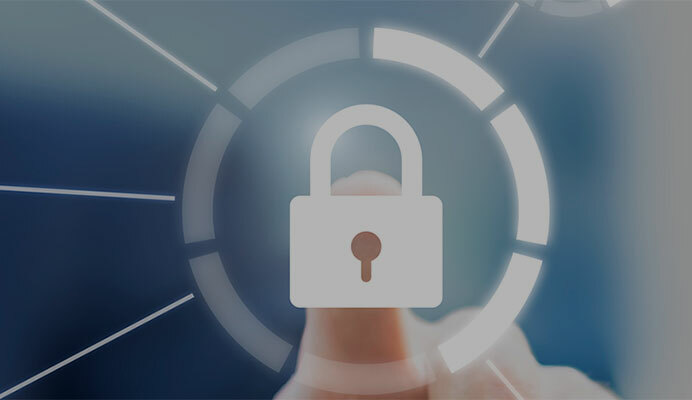 Info Cubic understands the importance of data security and has implemented measures – technical, contractual, administrative and physical – to protect and safeguard information against loss, misuse and unauthorized access, use, disclosure, destruction or alteration. Info Cubic uses secure socket layer (SSL) encryption to protect information online. Please be advised however that Info Cubic cannot guarantee the security of information collected as no data transmission over a wireless network and/or via the internet can be guaranteed 100% secure. If you become aware that personal information is no longer accurate or complete, please contact Info Cubic using the contact information designated below. Info Cubic retains personal information as long as necessary to fulfill the stated purpose; however, there may be legal, contractual or auditing requirements that mandate longer retention of particular personal information. Note, Info Cubic will only be able to provide access to information held if we have previously conducted a background check on an individual or if an individual has submitted a request for services. We only provide background reports at the request of our clients who must first obtain an individual’s authorization. If no background check has ever been conducted on the individual making the request or submitted a request for services, Info Cubic will not have any information to provide. Further, Info Cubic may not be able to provide access or correction rights to an individual where the granting of such rights will impose a burden onto Info Cubic to the extent that it outweighs the privacy rights of the individual or the access request places another individual’s privacy rights at risk. Regardless of whether we hold data on an individual in our system or not, or are able or unable to provide access or correction rights, Info Cubic will respond to all requests. Individuals may also invoke binding arbitration under certain conditions if your complaint is not fully resolved. The arbitration option is only available to an individual to determine whether Info Cubic has violated its obligations under the Privacy Shield Principles and whether such violation remains fully or partially un-remedied. Under this arbitration option, the Privacy Shield Panel (consisting of one or three arbitrators as agreed by the parties) has the authority to impose individual-specific, non-monetary equitable relief (i.e., access, correction, deletion or return of the individual’s personal information) necessary to remedy the violation of the Privacy Shield Principles only with respect to the individual. Each party bears its own attorneys’ fees. In order to initiate an arbitration claim, and individual must: (1) raise a complaint directly with Info Cubic and afford Info Cubic an opportunity to resolve the issue within 45 days, (2) contact JAMS (which is at no cost to the individual), and (3) raise the issue through the Federal Data Protection and Information Commissioner (FDPIC) to the Department of Commerce and afford the Department of Commerce an opportunity to use best efforts to resolve the issue at no cost to the individual. This arbitration option also may not be invoked if the individual’s same claimed violation of the Privacy Shield Principles (1) has previously been subject to binding arbitration; (2) was the subject of a final judgment entered in a court action to which the individual was a party; or (3) was previously settled by the parties. In addition, this option may not be invoked if the Federal Data Protection and Information Commissioner (FDPIC) (1) as authority under the Privacy Shield Principles; or (2) has the authority to resolve the claimed violation directly with the organization. An individual’s decision to invoke this binding arbitration option is entirely voluntary. Arbitral decisions will be binding on all parties to the arbitration. Once invoked, the individual forgoes the option to seek relief for the same claimed violation in another forum, except that if non-monetary equitable relief does not fully remedy the claimed violation, the individual’s invocation of arbitration will not preclude a claim for damages that is otherwise available in the courts. Individuals and Info Cubic will be able to seek judicial review and enforcement of the arbitral decisions pursuant to U.S. law under the Federal Arbitration Act. Any such cases must be brought in the federal district court whose territorial coverage includes the primary place of business of Info Cubic which is Colorado. This arbitration option is intended to resolve individual disputes, and arbitral decisions are not intended to function as persuasive or binding precedent in matters involving other parties, including in future arbitrations or in Switzerland or US courts, or FTC proceedings. You may initiate binding arbitration, subject to the requirements above, by delivering “Notice” to the organization which must contain: steps taken the resolve the claim, the nature and description of the alleged violation, and, if an individual desires, any supporting documents and material relating to the alleged violation or complaint. For more information on the binding arbitration and how to invoke arbitration under the Swiss-US Privacy Shield Framework, please visit: https://www.privacyshield.gov/article?id=ANNEX-I-introduction.